For the first time this year, local firm Russell Roof Tiles will be introducing a special Community Fund, which will allow a number of charities to share and benefit from a fundraising pot. Having raised £56,000 for a variety of charities since 2015, the roof tile manufacturer has always been dedicated to supporting local causes, choosing one charity each year to benefit from a host of staff fundraising activity. However, this year, Russells – which employs a team of 70 on an 11-acre Halleaths site in Lochmaben – wanted to do more. As a result, the team will be spreading their fundraising efforts and supporting a number of charities and organisations which are a pivotal part of the community. Fundraising is already well underway at Russells with many staff donating £10 from their salary every month, while others have volunteered to take on a sponsored weight loss and fitness challenge. Other activities throughout the year will also include a climb to the top of Snowdonia. All money raised will be put into the Community Fund and then periodically, each nominated group, event or organisation will receive a share of the monies raised. Nith Inshore Rescue Team has already been chosen as the first charity to receive support from the Community Fund. Founded in 1981, the voluntary search and rescue lifeboat service currently operates across Dumfries and Galloway and is a vital part of the emergency services and community, responding to incidents such as missing persons, boats in difficulty and people cut off by tides. Andrew Hayward, Managing Director at Russell Roof Tiles said: “The brand-new Community Fund will see not just one charity benefit this year, but a number of worthy causes, which helps and supports our local community. 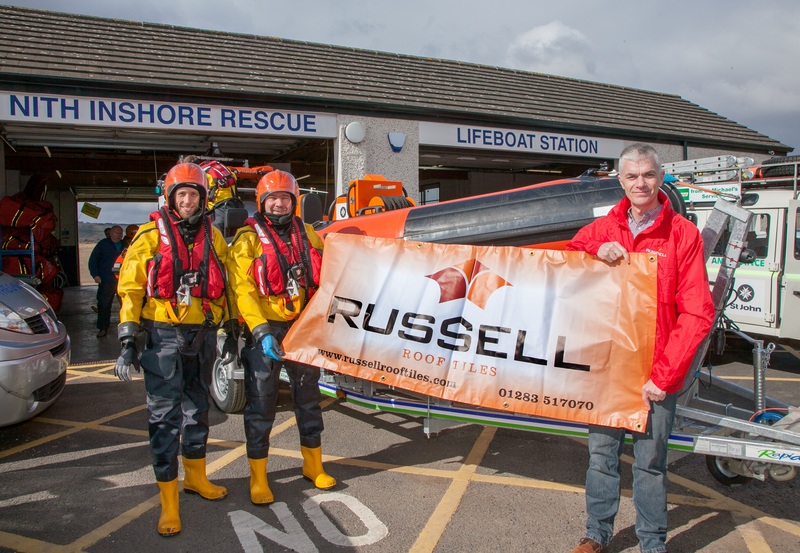 Ian Crowie, Treasurer for Nith Inshore Rescue said: “We are extremely grateful to Russells for their offer of financial support through various fundraising activities. We are a voluntary organisation and rely wholly on donations, with every penny going towards our vital lifeboat operation. Costs are ever increasing to ensure we provide an effective and efficient service in terms of maintaining our lifeboat station, lifeboats, service vehicles, equipment and crew training to national maritime and health & safety standards.